Home/episodes/359: Steve Woodruff, What Makes You Distinct? Steve Woodruff is known as the king of clarity in a world full of noise and distraction. Steve helps businesses craft a message so clear that they can be heard, remembered and referred. In over 30 years of business experience, he has consulted with companies ranging from solo startups to top five Pharma. His new book ‘Clarity Wins’ came out in 2018. Clarity is more important than we think! It’s an interesting topic, because we don’t really talk about it. But it has everything to do with the success of our business and our customers, so why don’t we talk about it more? 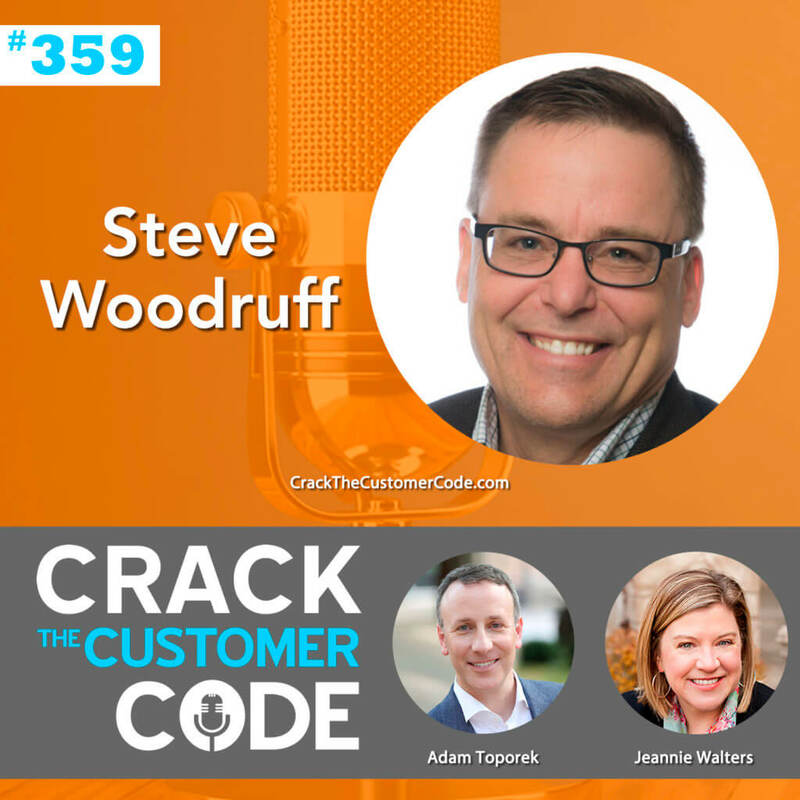 We talk with Steve Woodruff about really understanding who we are and what we deliver. And how to articulate that so others can articulate that for us. Steve comes at this topic through the lens of referrals. Before others can be clear and refer you, you have to be clear about yourself, your value, what you do and what you offer first. Why Steve feels so strongly about referrals, he wrote an entire book on the topic. How referring helps businesses overcome the noise problem in the marketplace. Why getting really clear on the strengths of your business is so important. What’s that unique strength you have that makes you better than potential competitors? The five questions every business must answer to not only get the customers, but help to serve them better.